Our Audio Note UK brand launch back in November 2018 at the Roseate Hotel here in Reading, where we demonstrated their flagship £800K system proved to be an overwhelming success. Equally the response we have had from those who have visited our store and heard a more affordable system in our all new dedicated Audio Note UK demo room has been nothing short of phenomenal. 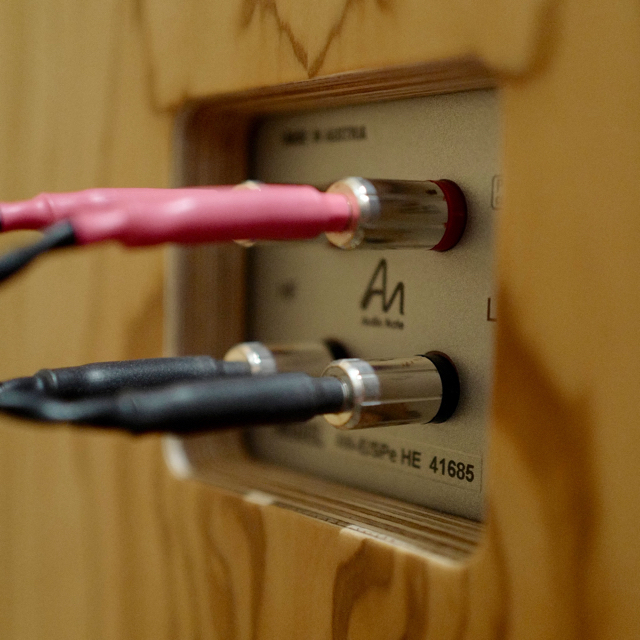 In this demo room we have in permanent readiness, two full systems of vastly different costs to showcase the Audio Note UK sound; it is the lower cost system I would like to describe in this post. 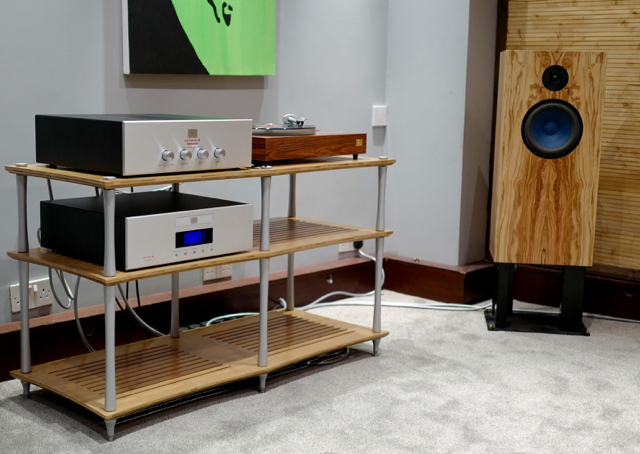 This system, all hand built in Hove, Sussex, comprises of a choice of source components in the form of a CD player and/or a turntable, an integrated amplifier and a pair of loudspeakers. At this point I would suggest reading Audio Note UK’s philosophy to better understand the designs and choices they make. (Saves me from a lot of typing too). A Red Book integrated CD player designed specifically for sonic performance rather than specifications, it features a vacuum tube output stage being driven by an Analogue Devices AD1865 18bit chip set with no over sampling or digital filters whatsoever. Typically for Audio Note UK, their own in-house wound copper foil capacitors and tantalum resistors are used when commercially made components that meet their exacting demands are not available. The TT2 origins are founded in the highly acclaimed Dunlop Systemdek of the 1990s but completely re-engineered to meet today’s exacting standards and expectations. At the heart of the TT2 is a two motor drive system designed to take full control of the lightweight acrylic platter by means of high torque enabling this deck to have superb speed control and pitch; essential for accurate reproduction of music, especially acoustic, be it piano, orchestral or jazz. The cartridge, their IQ3 is the top of a three model MM (moving magnet) range. It features their very own stylus profile mounted to a unique tapered titanium cantilever as found on their £3k and £6k moving coils. This in turn is mounted onto the top of their three arm range; Audio Note UK Arm 3. A highly rigid, in-house build tonearm featuring pure silver wiring throughout. Arms 1 and 2 differ by use of two grades of copper wiring to reduce costs but the mechanicals remain identical. 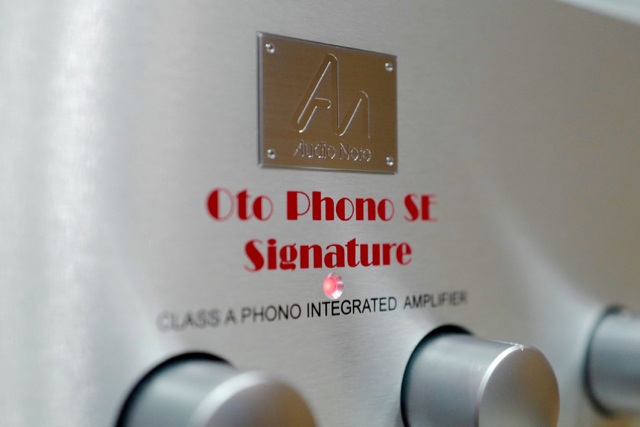 Representing something of a sweet spot in the middle of the Oto range of amplifiers, the SE (single ended) Signature features an all vacuum tube phonostage, a perfect match to the IQ3, and an 10wpc output stage comprising of 4 matched EL84 pentode tubes in pure class A single ended configuration with in-house custom designed and built iHib output transformers. 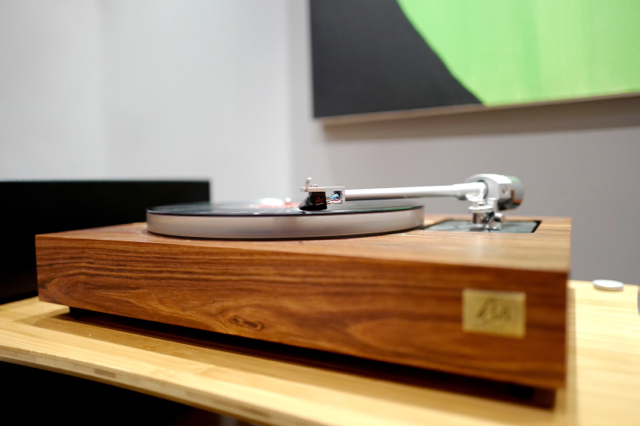 Four inputs plus tape monitor, balance and volume controls complete the classic uncluttered aesthetic. The AN-E is the top and largest of a three model series constructed not from MDF but Russian birch ply. 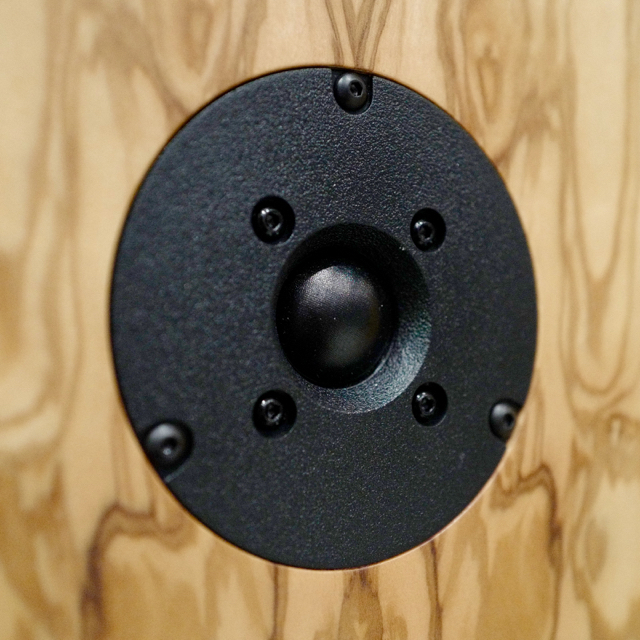 These speakers feature a minimum of damping and bracing to allow the the cabinets to enhance the drivers performance to the maximum ensuring the highest level of musical performance possible rather than the usual totally inert designs of their competitors. Another sweet spot in a vast range of AN-E options, the Spe HE Hemp feature all silver internal wiring and voice coils. Paper bass/mid cones are replaced with stiffer and lighter HE (high efficiency; 98dB ) Hemp bass/mid drivers and horn loaded silk dome tweeters. 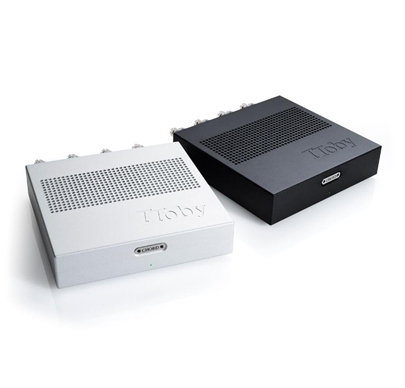 The key to the design is high efficiency, full range bandwidth (18Hz -23kHz) and high dynamic range making them perfect partners to low powered, high quality tube amps such as the Oto. The speakers sit atop a 10” mass filled custom designed stands and are available in 20+ high quality exotic veneers at no extra cost unless one specifies high gloss lacquer. They are designed to be placed close to a wall, indeed preferably in the corners whereby they pressurize the room for maximum efficiency and an optimal tonal balance. Finally, the system is wired with a complete loom of Audio Note UK’s own custom designed cables. Isis Reference represents their flagship in copper and only topped by their ranges of all silver cables at considerable cost too. All cables are copper litz in configuration and hand built to order. Rather than attempt to dissect this into describing the sound of the individual components I shall allude to the system as a whole, indeed, as good as any Audio Note UK components are, it’s when they are assessed as a collective then their true magic shines. The first thing that strikes you is the sheer sense of scale, that an event is taking place before you. Instruments, singers, indeed the whole ensemble is present in the room, or rather, when the recording allows, you are present in the recording space; often almost life size. The second, is the dynamics. No one expects the sudden change in volume this system can muster, from the tiny sound of a triangle to full blown orchestra in an instant, (Scheherazade, Living Stereo, Analogue Productions AAPC 2446). With such high efficiency speakers this comes easily and without any trace of distortion or strain promoting the desire to increase not decrease the volume; low volume listening is equally rewarding though. What grabs next is timbre accuracy. Instruments sound like they are supposed to, not Hi-Fi caricatures; each and every one in its own space with its own correct scale. PRaT (pace rhythm and timing) come so naturally that you don’t even think about it leaving your grey matter to concentrate on the composition or the musicians’ virtuosity whilst the dense harmonics course through each piece with ease; it all adds up to a natural, unforced sense of completeness and above all in a totally coherent fashion; in a word, effortless. Think not that a valve based system necessarily sound overly warm and soft, many do but not Audio Note UK; this system astounds in it’s ability to rock when required; John Bonham’s drums pound, Jimmy’s guitar soars as if his amp is in the room (‘Heartbreaker’ LED Zeppelin II, Atlantic 588198) or play some dub-step such as Noisia’s ‘Split The Atom’ (Maustrap MAU5CD010P) and the sheer force almost bowls you over; the bass shakes both you and the room. Music should surprise and be unpredictable, be immediate and involving otherwise the killer of all killers, boredom sets in. At any volume this Audio Note UK system delivers in spades and at the cost offers supreme value for money and promotes long term satisfaction. Our most recent Audio Note UK customer commented when first hearing the above system “my God, I’ve wasted the last 20 years faffing about with HiFi”. Says it all really. Needless to say, he bought it. 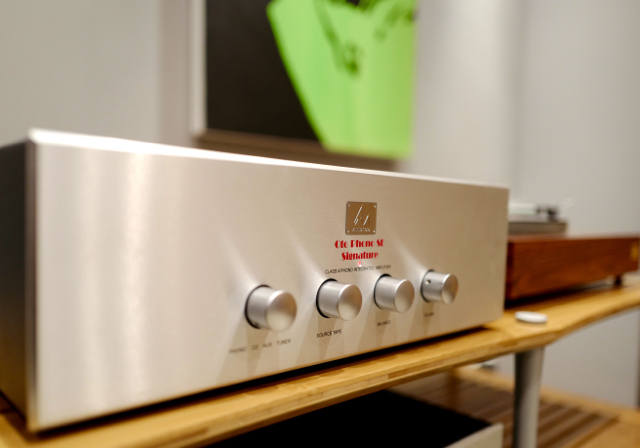 Audio Note UK components are categorised by levels 1-5, 1 being entry and 5 being state of the art, albeit that there are many products of different performance and cost within each level. They recommend not mixing between levels beyond one above or one below so as to maintain system performance. The above system falls within level 2 with the exception of the speakers, which are level 3 in this instance. So why not pop in anytime, no need to book a demo, and have a listen. Bring an LP or CD you like and maybe make a new discovery? We’re thrilled to be in partnership with Audio Note UK and hope you’ll enjoy it too. Each includes 3.5 Isis single run bi-wire speaker cables and Isis cabled mains block. 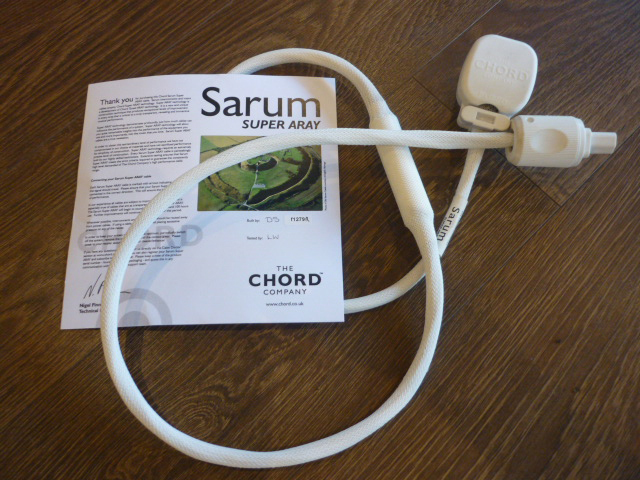 We are very proud to be one of only 38 dealers nationwide who stock the very impressive Chord Sarum Super ARAY. This cable is an upgrade for your Hi-Fi like no other! There are a great many technical reasons as to why this range of cables are a must for your Hi-Fi system from the new PTFE RCA plug covers, teamed together with the micro polished silver plated conductors, to the tuning process that this cable has gone through which arguably has been one of the biggest steps forward in cable manufacturing in recent years, and it is all brought together in this amazing cable. However, the real magic happens when you add one of these cables into your Hi-Fi system, sit down and listen to the music that you thought you knew. This stunning cable by lowering the noise floor and reveals new levels in the sound stage that simply has to be heard to be believed. The Chord Sarum Super ARAY is available in a wide variety of cable formats with a range of different connectivity from the humble RCA analogue cable to mains and even USB to suit any requirement for any system. 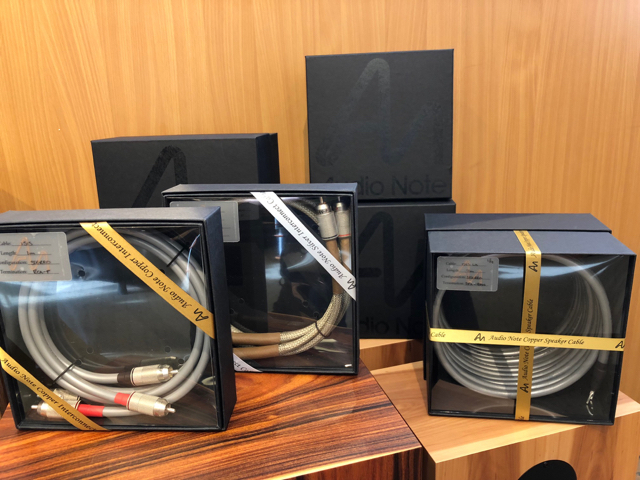 These cables are available in store for demonstration and we can arrange for you to try these cables at home in your own system, where you will be able to truly appreciate how this cable can make you rediscover your entire music collection. On the 7th and 8th October the Chord Cable Company will be showcasing part their fantastic new range from speaker cables and power leads to streaming leads to analogue and digital interconnects. Chord have brought out new models in familiar ranges such as Signature and Epic and several entirely new ranges including Shawline, Clearway and C-series. Every cable that makes up each of these ranges will feature in the event. Come on the Chord journey and witness the transformative qualities of these world leading cables can have on your Hi-Fi and the music that you play. There will be exclusive offers for all those who attend during this intriguing and informative event. The Chord journey starts in Audio T Portsmouth on Friday the 7th of October from 2.00pm until 7.00pm and the on Saturday the 8th from 10.00am until 5.00. 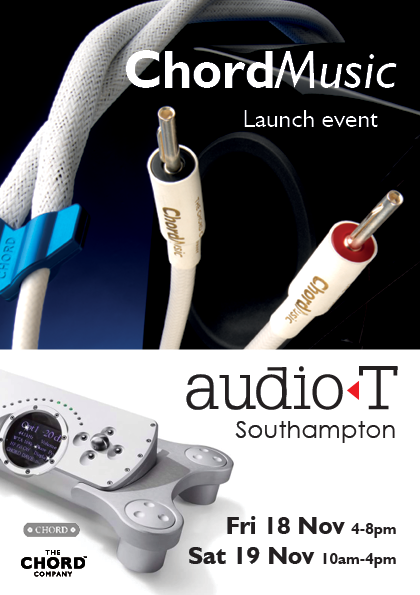 Join, Nick, Joe and James at Audio T Portsmouth and a representative from the Chord Co to hear how cables can make a very cost effective upgrade to your Hi-Fi system, which will have you rediscovering your music collection. ChordMusic Arrival Leads To Summer Fever At Audio T Southampton! We are thrilled that our much anticipated ChordMusic demonstration cables have just arrived! 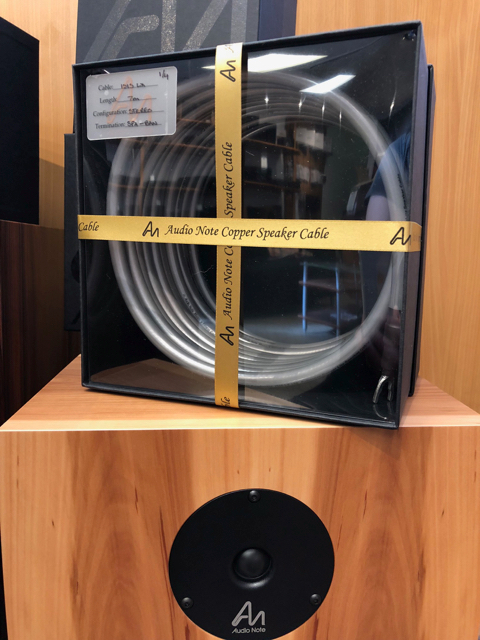 Just out of their luxurious packaging we have a 1m stereo RCA pair at £3800, a 1m RCA digital interconnect at £3500, a 1m 4DIN to 1XLR for Naim NAP250 at £3500 and a 3m pair of ChordMusic speaker cables retailing for £6600. These aren't insignificant sums but once we'd heard how much ChordMusic raised the performance of high quality systems we just had to have it. Watch this space for our thoughts once everything has settled in and for details of forthcoming events which will feature the stunning ChordMusic range. In the meantime please feel free to phone us or call in to arrange a demo or home loan of ChordMusic, just give us a week or two to run them in. It won't take us too long! Whatever the weather this summer we will be happy to stay in and listen to the ChordMusic!